Circumstances change, and alimony obligations may need to change to reflect your life as it is “now.” The attorneys at the Kramer Law Firm can assist you with all Florida spousal support modification issues. If you have lost your job, or are in other dire situations where you can no longer meet your obligations of alimony, we can help you. We can protect your best interests in modifying alimony orders if your income increases significantly. Our Orlando alimony lawyers will fight for your interests if you are receiving alimony payments involved in a support modification dispute. 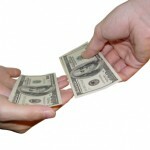 Florida alimony must be paid until you file a Petition for Modification. To qualify for alimony modification, major changes to your financial situation must validate the need for any changes to the original support order. The spouse who wants to modify the alimony order has the burden of showing the “substantial change in circumstance.” In some cases, the circumstances for both parties have changed. The Kramer Law Firm will provide knowledgeable counsel in each case. Contact an Orlando alimony lawyer at our firm for superior help in getting your modifications handled through the proper legal channels. Some Types of Florida Alimony Are Modifiable, While Others Are Not. Florida alimony is generally modifiable, and can be adjusted either upward or downward. However, if your original settlement agreement states that either the payment amount or duration of the payment is not modifiable, then the alimony cannot be changed. 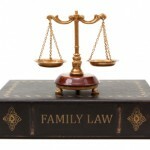 If your divorce agreement does not clearly state that alimony may or may not be modified, then alimony is modifiable. Durational alimony is modifiable, but the length of time may only be modified in exceptional circumstances. Bridge-the-gap alimony is not modifiable, but cannot exceed two years duration. Lump Sum alimony is not modifiable. Other circumstances will also affect alimony modification. When your way of life relies on the amount of alimony you are ordered to receive, consult with an Orlando alimony lawyer at the Kramer Law Firm for knowledgeable legal representation. What Constitutes “Substantial Change in Circumstances” in Alimony Modification? Unemployment: If the paying spouse suddenly and involuntarily loses his or her job. You cannot quit your job, however, and expect to reduce alimony payments. New marriage: If the spouse receiving alimony remarries, alimony is not required to continue. New Supportive Relationship/Cohabitation: When a spouse who is receiving alimony lives or cohabitates with a new partner in a relationship substantially similar to a marriage, or they are sharing bank accounts or assets, or otherwise financially interdependent – alimony may be reduced or terminated. 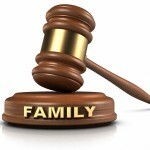 An Orlando alimony lawyer at the Kramer Law Firm can help you substantiate these situations. Illness or Disability: If the paying spouse gets sick or becomes disabled to a point he or she can no longer work to meet the alimony obligations, alimony may be modified. If a paying spouse gets a significant increase in income, alimony amounts may be increased when the recipient spouse shows a corresponding increase in need. If a paying spouse has a severe pay cut, a reduction in alimony is possible. If the receiving spouse gets a significant increase in income (i.e. wins the lottery, inherits significant money, or is working now whereas he/she was not working at the time of final judgment), a reduction in alimony payments is possible if the receiving spouse no longer needs as much support. If changes in child support payments result in a significant change to the paying spouse’s finances, alimony may be modified. Other situations also support Florida alimony modifications, and each case is driven by unique factors. We would be happy to discuss your legal options with you about alimony modifications. If you have questions, contact an Orlando alimony lawyer at the Kramer Law Firm.